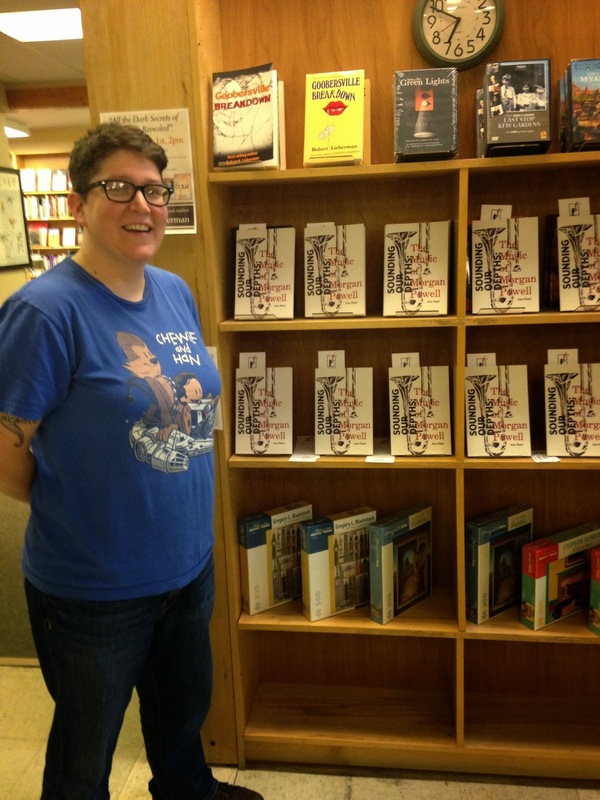 Upper Hand Press: First Loves: Independent Bookstores Close to the Upper Hand Heart. PART 1. 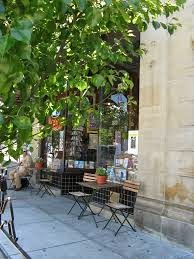 First Loves: Independent Bookstores Close to the Upper Hand Heart. PART 1. 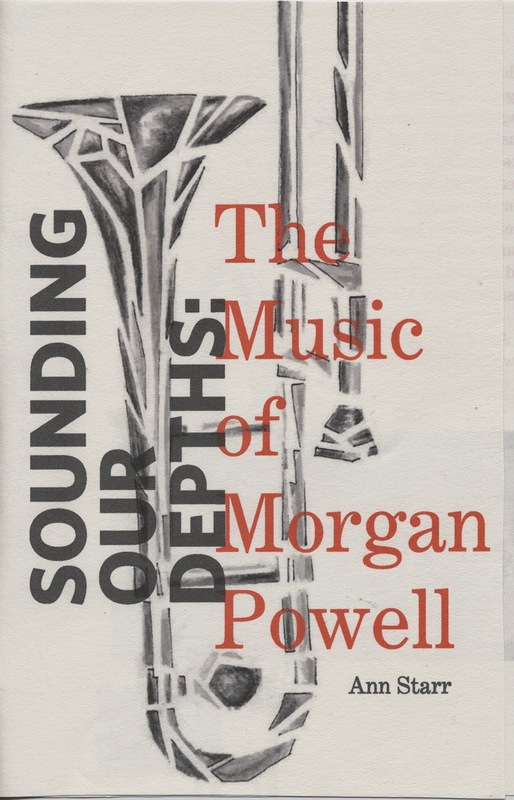 In August 2014, Upper Hand Press published its first title, Sounding Our Depths: The Music of Morgan Powell by Ann Starr. Starr, the press founder, didn't want to plunge into publishing cold with someone else's book at risk to her optimism that she could pull it off. As it worked out, she could and did. Now, by the end of 2014, our second book——the novel One Hundred Years of Marriage by Louise Farmer Smith——is just off the press; we have a beautiful children's book coming out in the spring; and there's a pile of submissions we're excited to be reading. An independent publisher doesn't succeed on the strength of its own work and smarts. It's entirely beholden to the mighty efforts of the owners and staff of independent book stores. These are the people who read everything; who know their patrons and their communities——the clubs, the distinguishing geography and history, the museums of their areas; their colleges and schools; the famous band or bar or ballet that attracts the world's attention. These are the best readers and the ones who not only understand books, but writers——what they do and what they accomplish. As local independent bookstores are beloved in their communities, there are several dear to the heart of Upper Hand Press for having given us our first chances when Ann asked for opportunities to present Sounding Our Depths to their readers. Suzanne DeGaetano and Peggy Latkovich in Cleveland Heights, Ohio instantly opened the door to MAC'S BACKS ON COVENTRY. It's a vast store with both new and used books. Suzanne, the owner, has an encyclopedic knowledge of her three floors of inventory. As she does of her neighbors and the lively flow of Coventry Avenue. Peggy is a core member of Cleveland's New Music community——she plays the accordion in the Trepanning Trio. Mac's Backs is a store locals can treat like home. 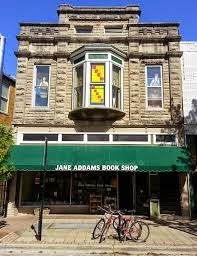 Don Elmore's JANE ADDAMS BOOKSHOP in Champaign, Illinois is where Sounding Our Depths was launched. The subject, Morgan Powell, lives in Champaign, retired from teaching at the University of Illinois at Urbana-Champaign. Elmore stocks used and rare books and he is a major supporter of all the local authors——including Patty Hruby Powell, Morgan's wife and author of the current children's hit, Josephine. Our audience was rather smaller than we'd hoped for. Check the calendar! How could we compete with the Fighting Illini season opener? The fabulous, eager, and hard-working Woody Chicester welcomed Ann to BUFFALO STREET BOOKS in Ithaca, New York with a winning display of Sounding Our Depths and a collegial introduction to the operations of their store that was both impressive and enlightening. Buffalo Street is cooperatively run: The stakes are high and the investment of energy is too. The young, smiling staff has specialized jobs, but everyone knows about every aspect of the store. Woody was all about fresh experiments: Where would a display of staff favorites best be placed? How could the covers, rather than the spines, of books in a section be positioned to catch the eye? Everything was up for improvement, to meet the customers' needs, to keep the store dynamic and in the black. But wait! There are more! Several more good independents helped Upper Hand get its feet in the water. Keep an eye out for the continuation, coming soon on our blog. Next up: New independent bookstore, UPSHUR STREET BOOKS in Washington D.C. hosts the first reading and launch party for Louise Farmer Smith's One Hundred Years of Marriage at 7:00 on January 8th!